The Harvard Radcliffe rugby team with head coach Bryan Hamlin. Radcliffe won the Beantown College Tournament on September 9, 2012 at U Mass Amherst. 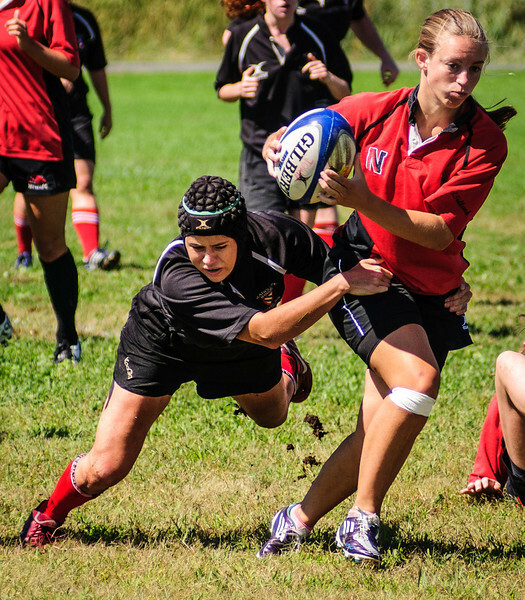 Women's rugby will become a varsity sport at Harvard in 2013, a first for the Ivy League. Photo Lynne Skilken. 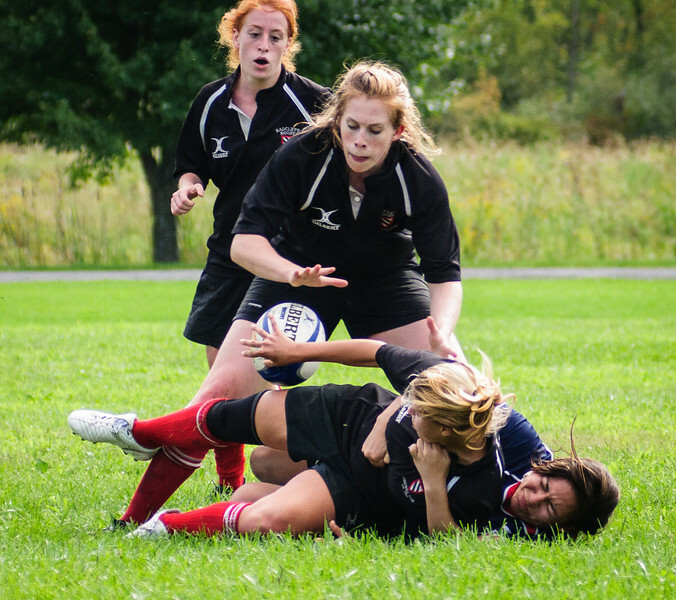 Two UConn players try to bring down Radcliffe team president Sarah MacVicar (H '13) in the Beantown finals on September 9, 2012. Photo by Lynne Skilken. 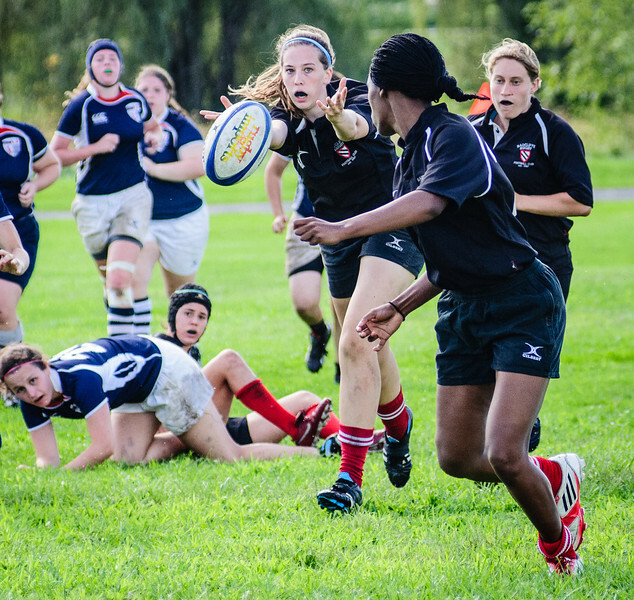 Radcliffe Backs Captain Megan Verlage (H '13) scores against UConn in the Beantown Finals. Photo by Lynne Skilken. Radcliffe's Cayla Calderwood (H '14) passes to Aniebiet Abasi (H '15) in the Beantown Finals against UConn. Photo by Lynne Skilken. 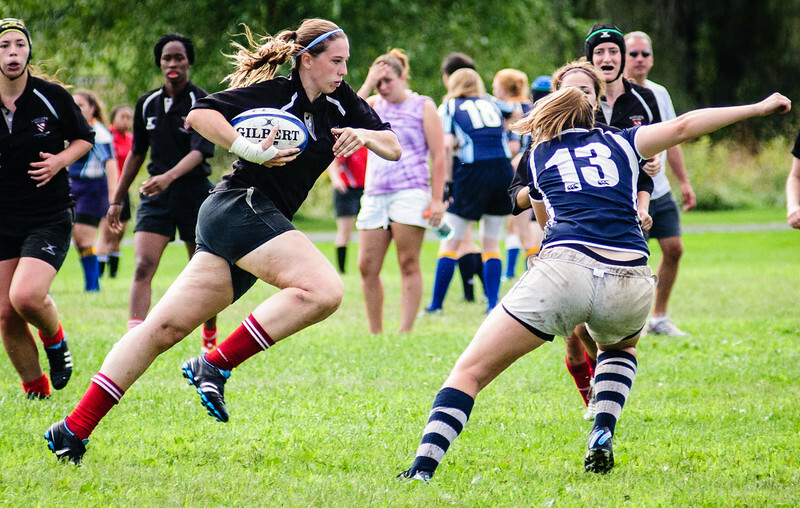 As team president, Sarah MacVicar (H '13) leads Radcliffe to victory in the Beantown Finals. Photo by Lynne Skilken. Radcliffe's Cayla Calderwood (H '14) in the Beantown Finals against UConn. Photo by Lynne Skilken. 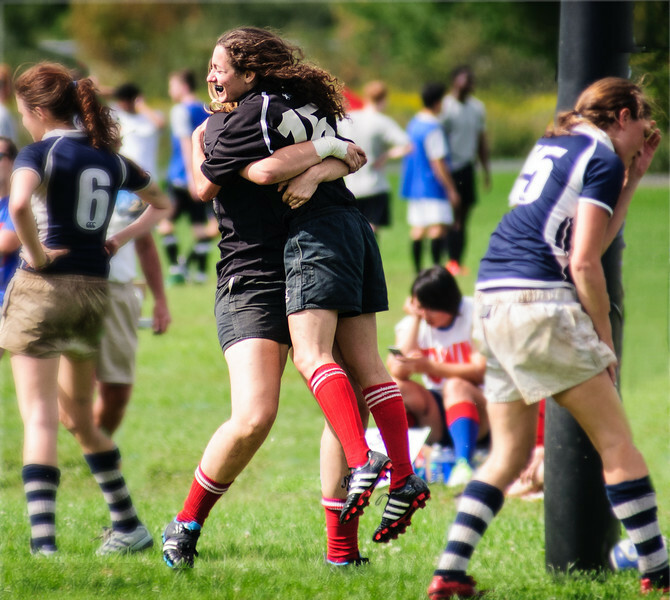 Radcliffe's Cayla Calderwood (H '14) celebrates Brooke Kantor's (H '15) try against UConn in the Beantown Finals. Photo by Lynne Skilken. Radcliffe Backs Captain Megan Verlage (H '13) in the Beantown Finals on September 9, 2012 at U Mass Amherst. Photo by Lynne Skilken. Radcliffe's Kenya Lucey (H '15) in the Beantown Semi-Finals on September 9, 2012 at U Mass Amherst. Photo: Lynne Skilken. 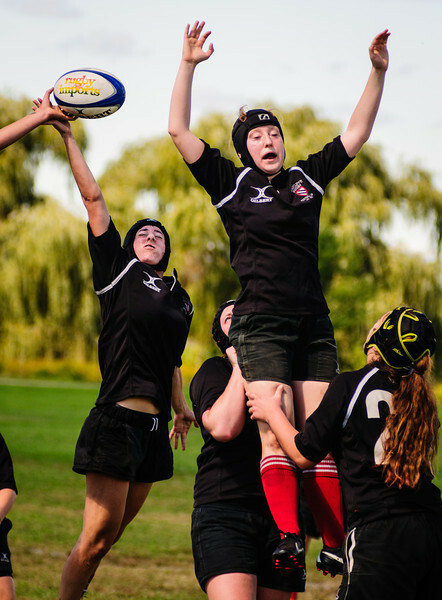 Radcliffe Forwards Captain Ali Haber (H '14) wins a line-out in the Beantown Semi-Finals. Photo by Lynne Skilken. 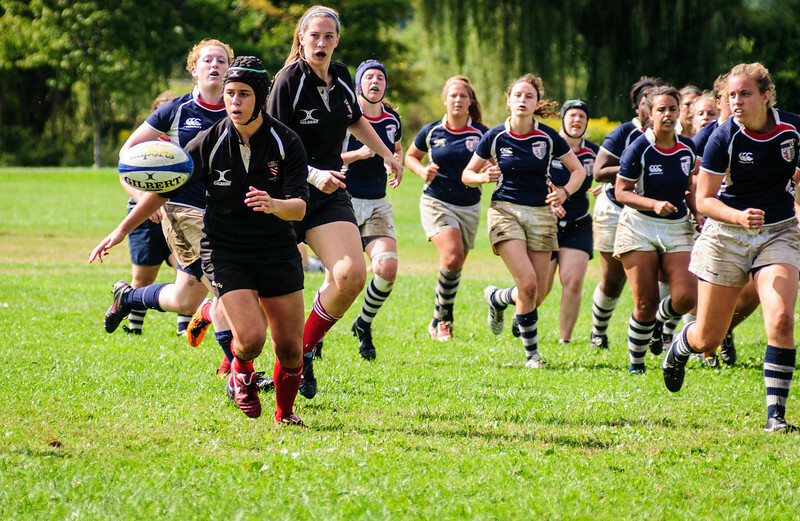 Radcliffe scrumhalf Ali Ramirez (H '15) in the Beantown Semi-Finals. Photo by Lynne Skilken. 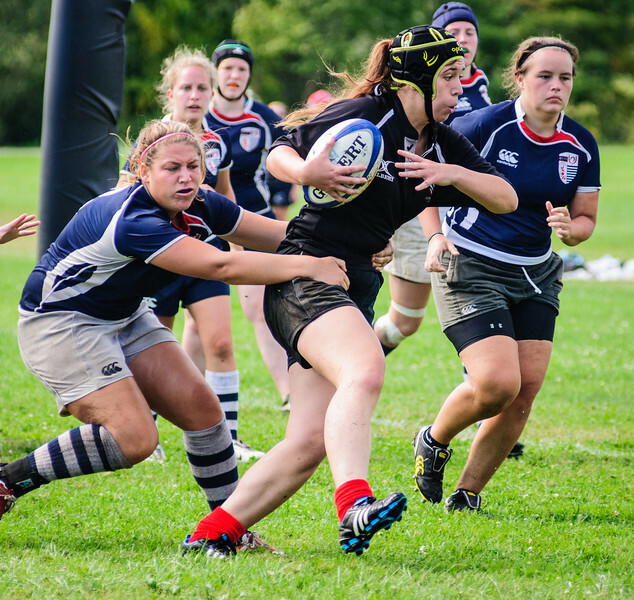 Radcliffe Backs Captain Megan Verlage (H '13) in the Beantown Semi-Finals. Photo by Lynne Skilken. Radcliffe rookie Aniebiet Abasi (H'15) scores between the posts in the Beantown Semi-Finals against Northeastern. Photo by Lynne Skilken. 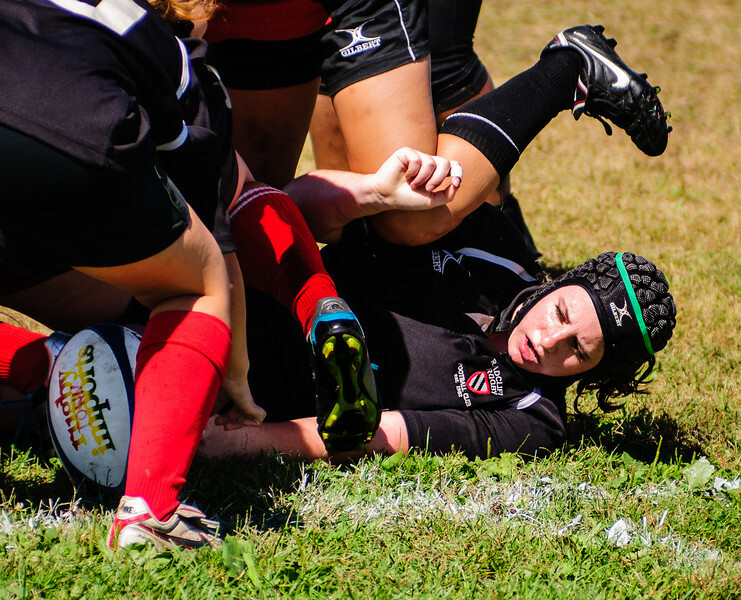 Radclife's Chloe Bates (H '13) at the try line in the Beantown semifinals against Northeastern on September 9, 2012 at U Mass Amherst. Photo by Lynne Skilken.